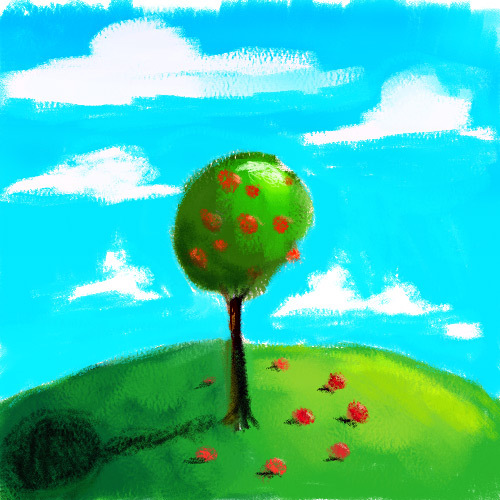 apple tree 7 x 7 in. I've always loved this Grant Wood style of painting, the rounded contours, the comforting shapes. I think it somehow relates to our vision of paradise, an ideal.